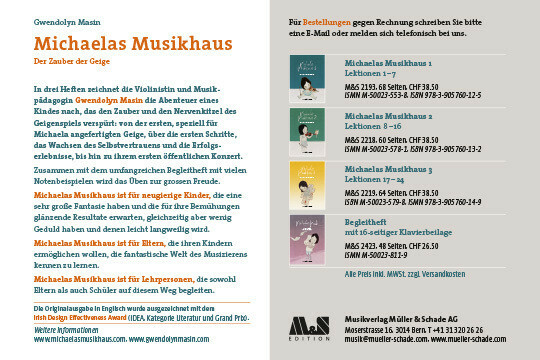 March 2018 sees the publication of the German translation of Michaela’s Music House, The Magic of the Violin. The tutor is in three parts and includes a separate book featuring Gwendolyn's compositions. It is available via Müller & Schade in Berne, and online here. You can read more about the book here.